School books may have been joyously tossed aside when that last school bell rang, but that doesn't mean that books in general should take a backseat in the summer time. Most local libraries offer summer reading programs to help keep kids on track. 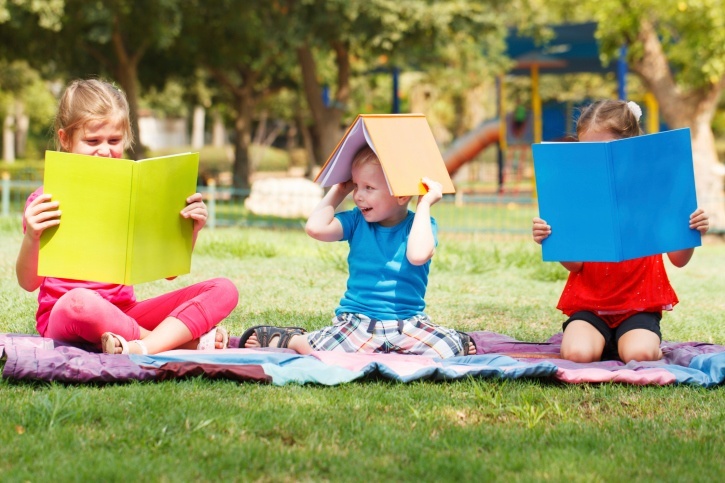 Check out your local library's website or drop in as the summer begins to see if there are age appropriate reading programs to fit your student's interests and needs. Setting goals and healthy rewards for reading are both a great way of getting more books in their hands. For younger students, try picking a theme that might match their interests, a location, or a time period. Book series with multiple volumes are also a great way to keep a student actively engaged. Consult with a librarian for a series that your student would enjoy. For older students there are a few great ways to approach a summer of reading. There are several resources for lists of classic books that students should read. This will not only help them for the day when college hits, but a well rounded and well read student often has an increased vocabulary and critical thinking skills that are essential for test taking and college success. If those classics aren't speaking to your student, then try sharing in a reading list with your student. Perhaps some best-selling summer reading might be a better pace for them. Regardless of the books they choose, the point is that they are reading and keeping their mind active. For students that have been falling behind in reading, summer can be a great time to seek out a private tutor and get your student on the right track. Having a tutor may not only help your student get on track, but also get ahead of the next year's subjects. Our professional tutors at Chicago Academic can work with your child to improve their reading and reading comprehension skills with low stress in-home sessions. Whether they are calculating tip at a restaurant or helping measure ingredients for a recipe, there are a plethora of opportunities to allow your student to step in and take the math reigns. For students that require a bit more challenging fare of math lessons, there are several summer workbooks that can be purchased on Amazon or at your local bookstore. One page every other day can keep your student's math skills sharp and ready to begin school again.